I don’t think I’ll ever be one to share an income report but I want to thank those of you do. That’s the stuff of #inspiration. 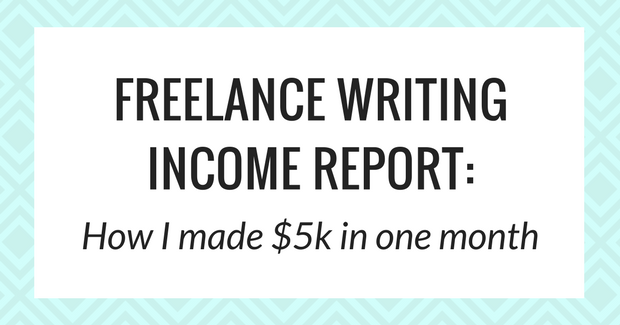 But reading other people’s income reports is what gave me the confidence and courage to try freelancing full time in the first place. It just feels right that I would give back with my own transparency. 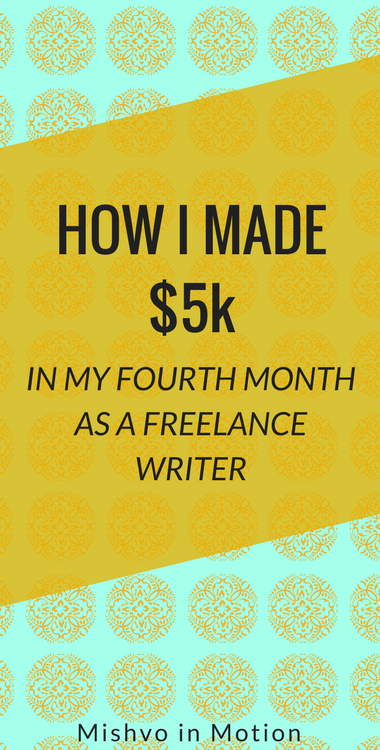 So I’m going to explain how I went about making $5k in my fourth month of working as a full-time freelance writer. Let me start by saying making a living as a freelancer is not easy. At all. Projects (and thus income) come in peaks and troughs. One minute you don’t know how you’re gonna afford your own groceries the next month if you don’t get a new client – like NOW! – and the next minute you’re overwhelmed with projects and feel like work is taking over your weekends (blech!). I also wanna say that I’m by no means an expert at any of this. I don’t share my stories and advice because I think I know all the answers. I’m still figuring this whole thing out too. I still have moments of doubt and wonder how it’s possible for people to make a living as freelance writers. I hope this income report inspires us both to keep going. This post contains affiliate links, which means I may make a small commission if you purchase something through the link, at no extra cost to you. I only recommend products and services that I use and LOVE myself and that I think you’ll love too. This month, I completed two projects in which I wrote the copy for a few pages of business websites. I got this work through a client who runs a boutique digital marketing agency and outsources some of his writing work. I connected with him on a Facebook group I believe. I wrote 3 versions of Facebook ad copy for three different audiences. This project was for the same client as above who subcontracts me. This was a test blog post to qualify for one of my retainer clients below. Obviously, the bulk of my income came from my retainer clients. That’s why I was super upset to have lost one of them at the end of this month. Getting clients on retainer is kinda the holy grail of freelancing because it offers you at least *some* security that you’ll have *some* income coming in the next month. I got one of these clients from posting on my personal Facebook page about my services, and the other through applying on Cloudpeeps. I wrote blog posts for both. I’ve been keeping my expenses as low as possible by living at my boyfriend’s apartment and, now, at my parent’s house, so I haven’t had to pay rent as I’ve started my freelance business. I also didn’t have my car up in Baltimore, so any transportation was covered by my boyfriend in his car. I bought a $200 flight this month, I believe from Baltimore to Atlanta. I belong to LA Fitness and pay $35.99 a month for my membership there. I have health insurance through Georgia’s Healthcare Marketplace for $25.48 a month (although I suspect I will owe them more at the end of the year because it seems I might have underdeclared my income – we’ll see). I use an online therapy service called Talkspace which is normally $128/month but haven’t been paying the monthly fee because my referral commission has canceled it out. This was my first month using Boardbooster to loop and schedule pins on Pinterest. I knew I wanted to invest in a tool to help me grow my Pinterest account because I get more click-throughs from Pinterest than any other social media platform. I tested out Tailwind and Boardbooster, both for free, and decided to try Boardbooster first because I liked the looping feature. It’s now June, and I’ve grown my account followers from 269 to 391. I haven’t seen as much of a jump in click-throughs as I would want. I’m definitely going to look into more Pinterest strategies, and keep Boardbooster running on auto-pilot. I learned the power of group boards and actually started one of my own: Location Independent Freelancers. It’s exciting to see it grow! By the way, this isn’t technically a freelance business expense but more of a blogging business expense. My Pinterest click throughs have increased from starting to use Boardbooster in March but not dramatically. Freshbooks is my cloud accounting software. I do invoicing, payments, time tracking, and expenses tracking here. I really wouldn’t be able to run my freelance business without Freshbooks (and I definitely wouldn’t be able to write up this income report! haha). Even though my payment fees may seem high, they are actually much lower than what they would be without Freshbooks. I use the exclusive-to-Freshbooks PayPal Business payments option, which only incurs a $.50 fee regardless of the amount of the payment! This is an absolute dream compared to fees based on percentages. Cloudpeeps is where I got one of my retainer clients from. I learned about Cloudpeeps from Amy from Wherever Writer. It’s like Upwork but less “bidding” and more “job aggregate”. I started off on the free version of Cloudpeeps which allows you to apply for up to 3 jobs a month. I only upgraded to the Pro version once I got a regular monthly client there. The $50 + 5% let me take home more money than 20% when I did the math. I made $120 in passive income from my blog this month through affiliate marketing. Like I said, there are peaks and troughs in my month-to-month income so far. I would really like to see that level off at or above the $5k mark, for now. This is going to mean getting more clients on retainer. Right now, I have a lot of one-off projects coming up so I don’t have time for more work. I’m also trying to fit in a vacation (so much harder than it sounds! ), but after all that, I plan to apply for more positions on Angel.co and Cloudpeeps. 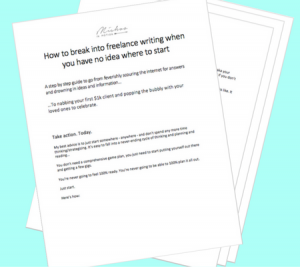 I’m also working on pushing some blog posts out on my freelancer site that I copy into LinkedIn articles. I hadn’t been doing that before, but now that I’m clearer on my niche, I want to market myself more that way. I think it would be great to get more referrals, and this might be just a matter of asking current and past clients once I’m in a place when I can take on more (hopefully regular) work. My goal for passive income is to make $1k a month from my blog. It’s a lot compared to what I’m making now, but I believe it’s 100% possible. I took the Making Sense of Affiliate Marketing course recently and still need to fully implement everything I learned there. It’s on my to-do list. My fear about monetizing my blog has always been losing my authenticity and voice in favor of making money. I am hyper aware of this and want to make sure it doesn’t happen as I grow my blog. Well that’s it for now! My goal is to be completely real about freelancing and digital nomad life. I know $5k isn’t that exciting to some of you. But for others, all those income reports spouting $10k, $30k, $100k a month that people are making online just sound…impossible. Maybe $5k sounds possible enough to start. Please don’t hesitate to reach out with any questions and let me know what you think. I’m glad you’re having success as a freelance writer, Mishvo. I, on the other hand, have not gained the income needed to leave my corporate job. I have three clients but they don’t need blog posts as regularly as I’d like. Plus, the rates I gave them are lower than I’d normally charge. (…and lower than I’d like to admit but don’t worry it’s over $50 for each person…) I’ll get it eventually, though, since I just picked up your freebie. Hey Lizzie! Thanks for stopping by. 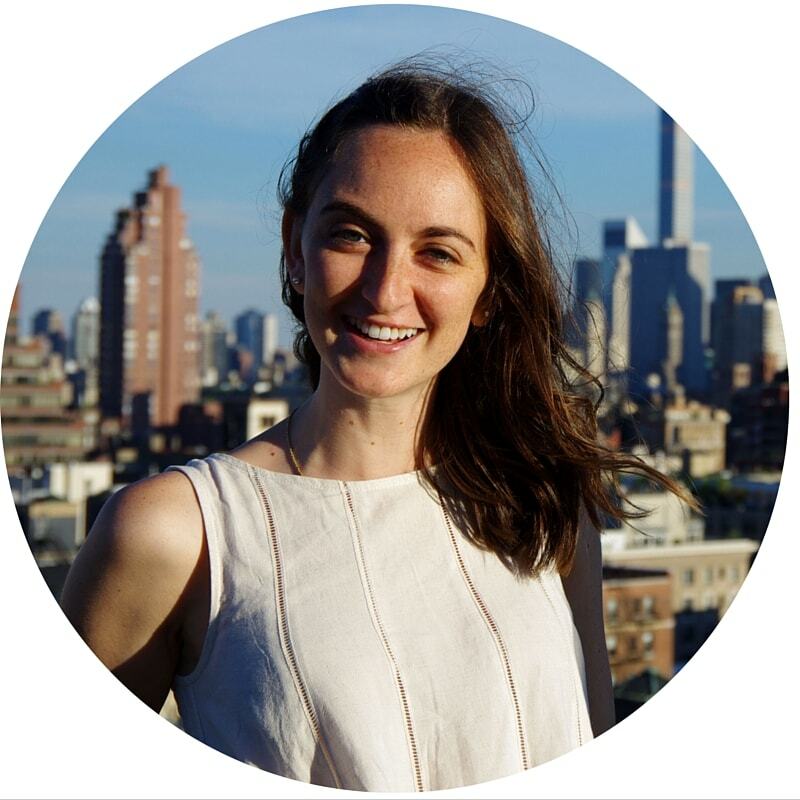 I hear on the frustration to get consistent and well-paying freelance work. I’ll be including more info about how I do fees later on as I know how stressful this part of the client acquisition process can be. Glad to have you on the list and I hope the guide helps! Please don’t hesitate to reach out with any questions/thoughts. Hi Mishvo! I’m so glad to hear that you’re going to be tackling the topic of fees for writers like me. I know that blog post will help and I’m looking forward to it. I’m definitely going to be binge-reading your blog for the next few days. Thank you for understanding since not so many of us do. It’s indeed very frustrating to struggle to find that first few clients but it’s so rewarding when you hear back about how much they like what you’re doing. I get a lot of that from prospects now and it makes me want to keep going through the struggle. I know this is what I’m meant to do and I can’t give up when the going gets tough, y’know? Inspiring stuff! I’m in a contract with my current job for another year and then planning on taking the leap to freelance… any tips on what I can do while I have a steady income to lay some foundations? Hi Isobel! I’ve been freelancing for a few months now and I wanted to share with you what I learned so far. Number one, make sure you know what it is you want to do for clients first of all. You might want to niche down so you can be seen as an expert in the industry of your choice. For me, that was mental health because I have a mental disorder. Secondly, figure out where your clients are hanging out on social media. Find out what their pain points are so you can make sure you are offering them the services they need. Thirdly, reach out to clients who value the work you do. If you’re a writer for example, only reach out to people who have blogs. I think you get the gist of what I’m saying there. One last piece of advice: it might take a while and it gets frustrating but it is so worth it in the end. Just make sure not to leave your stable income behind until you know for a fact that you’ve replaced it with the freelancing income. That’s a huge mistake I made and I don’t want you to make the same mistake I did. I hope this helps you! Thanks for taking the time to reply in such detail! I totally agree about the income thing! Overall, you’re in a really good position to lay the foundations, as you say, without a lot of pressure. I hope this helps and let me know if you have any other questions!! Thanks so much for the advice! Guest posting is the way forward for now I think and that site looks great 🙂 I really appreciate you taking the time to look through mine as well.